After my promotion was delayed for nearly two years, God turned the impossible into possible. I thought to celebrate with my family and friends as a way of showing Our Lord, Honor, Grace and Thanksgiving. I sorted several caterers; most prices were expensive and did not do it all. 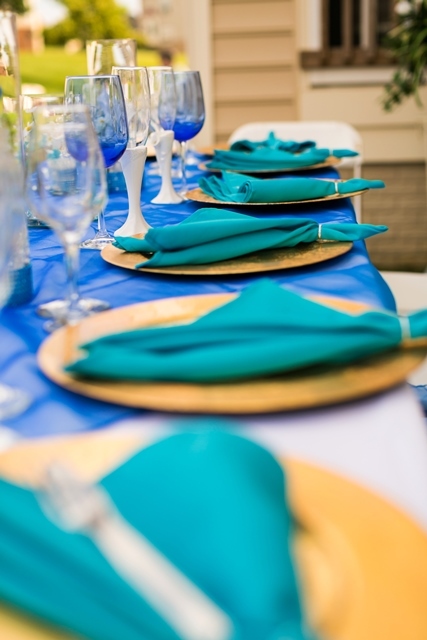 I found Sandra "Ispire Catering & Events" she promised to do it all and asked that I relax. She planned, executed and de-livered the best party ever. I will use her services again and again. Now that I have relocated to CA, I will fly her over whenever I desire to thank God again for his many blessings & favor. Sandra is truly a one stop shop, contact her for your event planning and you too can relax while she does all your planning and execute. Her food is awesome, delicious, and pricing is most reasonable. You did such a great job especially given the very short notice. Everybody is giving honest accolade to your presentation and particularly the food. Your grade for the food as rated by most people is a solid A+. You have permanently won me over and I may not be the only new fan you have just won over.